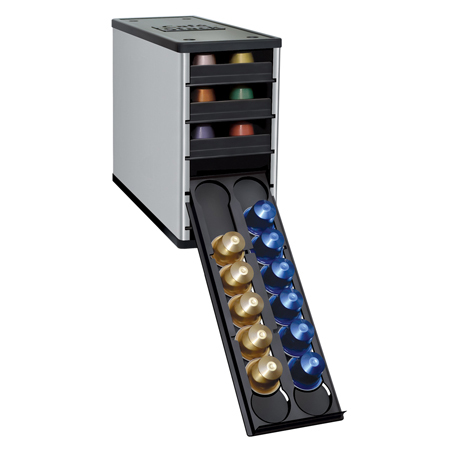 YouCopia Cafe Stack Nespresso Capsule Organizer Silver. Holds 60 capsules. Capsules sold separately. 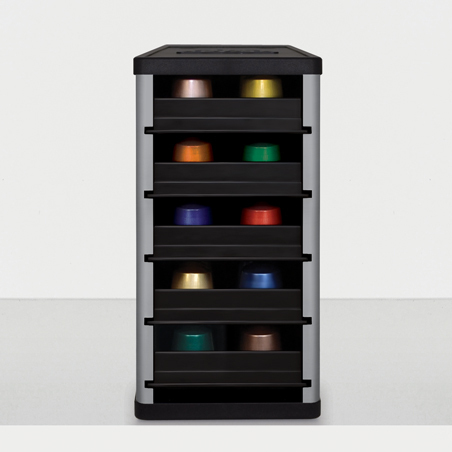 The CaféStack® fits a record-breaking 60 Nespresso®* OriginalLine capsules neatly in the kitchen cabinet. Drawers lower for easy viewing and selection. Slide the capsule down the drawer track and lift out - it’s easy!